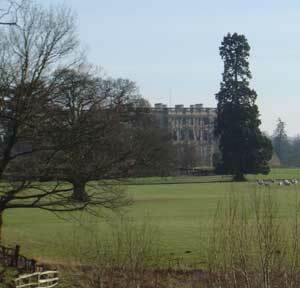 In 2003 we rented from friends an apartment at Stoneleigh Abbey on the bank of the River Avon in Warwickshire. One of a number that had been built at the rear of the Georgian section of the Abbey, the apartment had no garden of its own beyond a small flagged courtyard located near the entrance. But owners and tenants could make use of the walled and other gardens surrounding the building as well as wander about the parkland and river walks that made up the estate. As these were all maintained by professional gardeners we had the (perhaps dubious) pleasure of enjoying the fruits of gardening without doing the work. One good thing about visiting Great Britain for any length of time is that it enables us to make our obligatory pilgrimage to the National Trust gardens at Sissinghurst in Kent and Hidcote Bartrim in Gloucestershire. 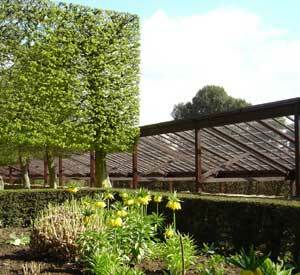 The acquisition of Hidcote in 1948, the first of a now extensive collection of National Trust gardens, was not without risk as the property came without an endowment and so its maintenance had entirely to be paid for by the organisation. It eventually became self-financing as the garden's reputation, and interest in it, grew. Today some 150,000 people come each year to view what is generally thought to be one of the most beautiful small gardens in Britain.